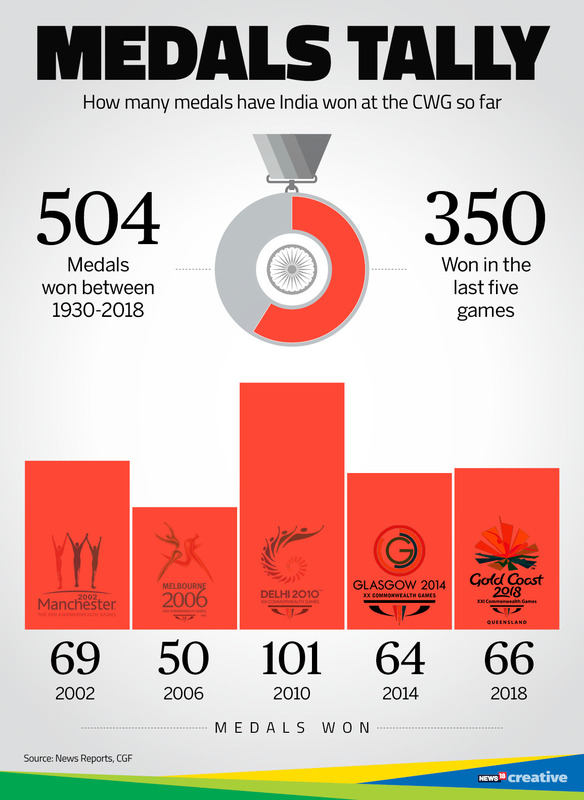 In its eight-decade-old association with the Commonwealth Games India has won 504 medals. 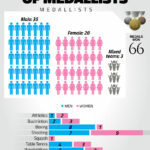 – Seventy percent of these medals were claimed in the last five editions. 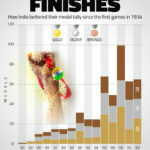 Also, India’s medal haul has been on a broadly upward trend. 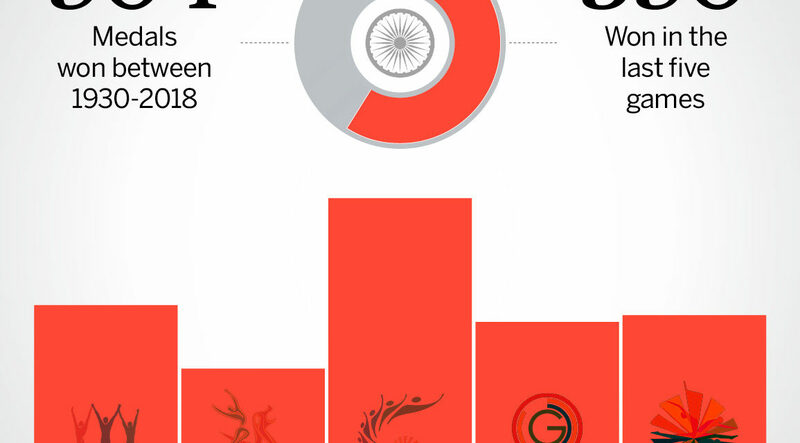 – The second-high point of India’s performance at the Games has been the high number of golds. While India bettered its overall performance at Glasgow by two medals, its gold tally improved by 11. That’s a massive 60 per cent! 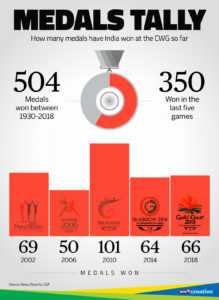 – Eight of every 10 medals won by India at Gold Coast were won in the games Indian sportspersons have historically excelled at. 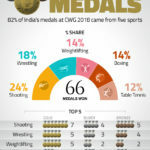 A quarter of all medals came from shooting. The success rate of the Indian contingent for shooting was quite impressive too with 16 medals coming from India’s 27 entries in the sport. That’s a success rate of almost 60 percent. – Traditionally men have dominated sports in India. Emergence of few star female players in the last few years has signalled a major shift in this sphere. GC 2018 saw some stupendous performance by female athletes: 50 per cent of all golds won by India were brought in by women players. Their medal victories were also quite diversified indicating emergence of great female athletes across categories. NextBrisbane enjoys an evening of Indian Classical Music! !